Traxxas 1/16 Summit Video – Smaller Size, Big Attitude! « Big Squid RC – RC Car and Truck News, Reviews, Videos, and More! Traxxas 1/16 Summit Video – Smaller Size, Big Attitude! 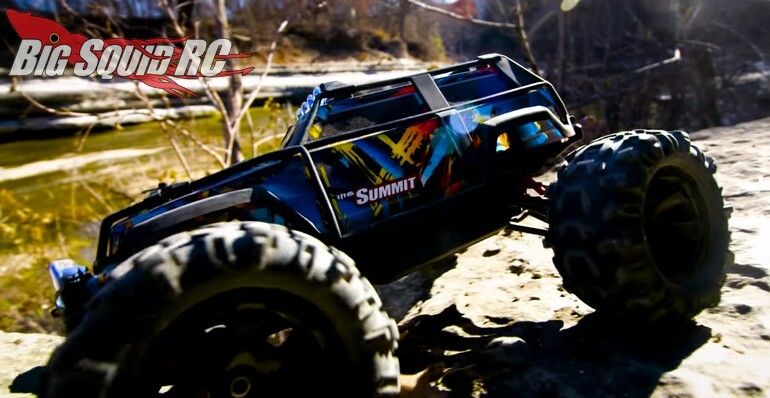 Recently uploaded by Traxxas is a video for the new 1/16 Summit. The new Summit sports a grossly over-sized (heck ya!) 550 motor to give you boatloads of torque with tons of power. The video below shows the truck in action, sliding around corners, climbing over rocks, as well as showing off its lighting system. The new Summit is expected to start shipping soon, hit up This Link to get complete details and pricing information over on the Traxxas website. Hit Up This Link to read all the latest Traxxas news on BigSquidRC.